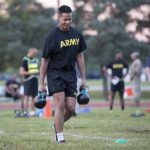 AUGUST 3, 2018, Fort Eustis, VA – On July 9, the U.S. Army announced a new physical fitness test — the Army Combat Fitness Test, or ACFT. The test is designed to replace the APFT with a gender- and age-neutral assessment that will more closely align with the physical demands Soldiers will face in combat. 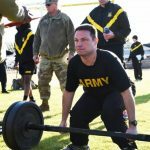 Field tests for the ACFT will begin in October 2018, and by October 2020, all Regular Army, Army National Guard, and U.S. Army Reserve Soldiers will be required to take the test. 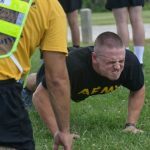 Here, the U.S. Army Center for Initial Military Training answers some of the most common questions that Soldiers, veterans, and civilians had about the ACFT following the announcement. 1. 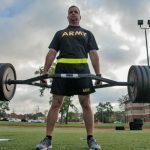 Why does the Army need a new PT test (ACFT)? To better measure Soldier fitness. Since 1980, the Army has used the current 3-event test. The APFT has provided an adequate assessment of two areas, muscular endurance and aerobic endurance. Although these two components of fitness are important for Soldiers, they are not the only important areas of fitness relative to combat readiness. To perform well across the full spectrum of operations in a complex and unknown battlefield, Soldiers must possess significant physical capacity in all areas of fitness including strength, power, speed, and agility. The APFT does not measure these components of fitness. 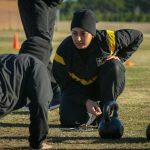 The U.S. Army believes the ACFT will measure these areas and be able to significantly enhance combat readiness, while reducing injury and attrition by establishing a comprehensive assessment of combat fitness. 2. How long does it take to administer the ACFT? With 15 lanes of equipment, the ACFT can be administered to a group of 60 Soldiers in about 1 hour. The average testing time per Soldier is about 50 minutes. A trained company of 120 Soldiers can be tested in 2 hours. The Army will provide the equipment. 3. How will the ACFT be graded? Are there tiers based on military occupational specialty? The grading remains to be determined, but there will be a minimum baseline standard, which aligns with the general physical fitness required for a Soldier to perform high physical demand, common Soldier tasks. Grading by MOS or by unit type are questions that will best be answered after the Field Test has gathered more data. Any policy decisions will be made after field testing results and scientific analysis are presented to senior leaders. 4. What about Soldiers who don’t live on a base, like recruiters, National Guard and Army Reserve? As part of the Field Test the Army specifically selected USAR, ARNG, USAREC, USACC and other unique dispersed units. This will allow the Army to determine the right locations and methods for remote/dispersed units. Implementation of the ACFT may require modifications in unit training schedules to allow testing to be conducted during higher level training periods (i.e. Annual Training) or may require additional funding (increased training days). However, the current ACFT does not take a significantly larger amount of time to test than the current PT test. 5. Who came up with this test? This test is a result of over 20 years of research and studies of fitness and health, and the research in the last six years was specifically focused on just this new test. The Army researched the baseline physical readiness requirements of high physical demand tasks Soldiers perform in combat. 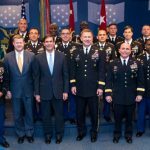 The Army asked experts from the Army, combat veterans, active and reserve Soldiers, NCOs and officers, from all branches and backgrounds, for their knowledge and expertise on what it takes to be a Soldier. In addition to our own studies, we met with military fitness leaders from the United Kingdom, Canada, Australia, France, the Netherlands and many other fitness experts from civilian universities and centers to discuss U.S. Army Soldier fitness. We talked with our sister services, Air Force, Marine Corps, Navy and Coast Guard. We also consulted with the Department of Physical Education (West Point); U.S. Army Research Institute of Environmental Medicine and U.S. Army Public Health Center (MEDCOM) and the Army Physical Fitness School (USACIMT). 6. 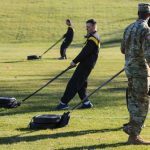 How much does the ACFT equipment cost? 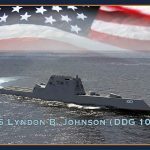 Final costs will be worked out as part of the field testing phase. However, cost was a factor in considering the equipment needed to complete a balanced fitness assessment. The equipment is standard fitness equipment, available from many retail and wholesale locations. Since it is not “specialized,” there is an added advantage in that the equipment can also be used for everyday physical readiness training. 7. Why the 2-mile run? The simplest and most effective way to measure aerobic endurance with large groups of Soldiers is with a distance run. We measure and train aerobic endurance to allow Soldiers to safely and effectively conduct occupationally-specific training and tasks performance, including moving long distances under load. A Soldier needs to run for a minimum of 12 minutes to get an accurate assessment of aerobic fitness. 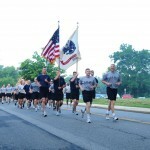 A 2-mile run ensures most Soldiers will need 12 minutes or more. 8. Why the Three Repetition Maximum Deadlift? Conventional wisdom in regards to strength lifts is that reduced load + increased repetitions + proper rest = reduced injuries. A 3RM deadlift will produce significantly fewer injuries than a 1RM deadlift. Trap (Hex) bars are significantly easier (lower injury risk) for untrained Soldiers to learn and execute lifts. Trap bars put the Soldier in a more controlled biomechanical posture to promote adherence to precision during the lift. The trap bar lift exerts less spinal loading due to an upright torso than the regular deadlift. To date we’ve tested more than 500 untrained Soldiers with zero reported injuries. Improvements in grip, core and lower body strength will significantly improve combat performance while reducing load-carriage injuries. 9. Are there alternate events for the ACFT that Soldiers can take? If not, why? 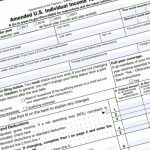 The final policy for alternate events or alternate test is still to be determined. The Army is studying alternate fitness tests for Soldiers on temporary and/or permanent profiles. These tests would help determine if you can heal and rehabilitate or if you need to be medically boarded for continued service. We hope Soldiers will be able to heal and pass the ACFT. 10. Won’t Soldiers hurt themselves training for the test? 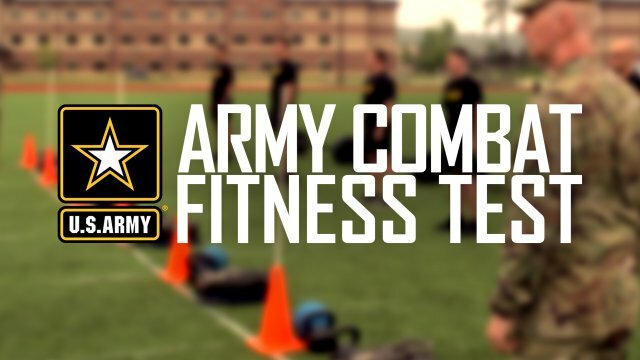 The Army is committed to a certification and training program for all graders and specifically for Master Fitness Trainers. MFTs are a force enabler who are trained in all the events and training requirements for the ACFT. Using the train the trainer method, teams from the Army Physical Fitness School will certify master instructors for the ACFT. It is not expected that trained Soldiers, properly supervised by their leadership and MFTs, will have any unusual risk of injury taking or training for the ACFT. The renewed emphasis on fitness and the additional resources being provided, along with solid training, minimizes any risk to Soldiers.